12.8mm x 10.12mm / 0.504in. x 0.398in. Sewing Machine Charm by Rembrandt Charms. The width is 1/2 of an inch. 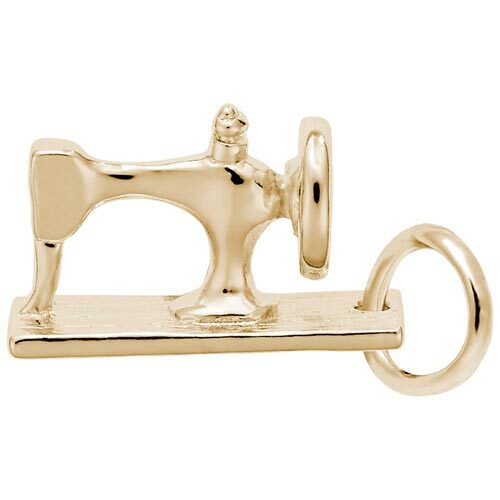 Every Fashionista needs this seamstress sewing machine charm. So show off your talents for altering the fashion with this charming peace. The sewing machine charm can be placed on a necklace or will be a wonderful addition to a Charm Bracelet. All Rembrandt Charms are available in either silver or gold.